Sharpen your pencils, here’s a new monthly column on school news and happenings. Keep tabs on all scholarly functions and mark those open days in your calendar. In November there’s the Arts Soiree where SUIS students will show off their work, a debate championship at Harrow, a day of life skills at YCIS, soccer camp, and holiday bazaars for shopping and pictures with Santa. Plus some chances to give back. All school events listed are open to the public. Details after the jump. Join SUIS students (grades 10 and 12) for the Arts Soiree, a showcase of their artwork, musical performances and films. The event is open to the public, come see what sets SUIS students apart: their passion for the arts. Check out last year’s event right here. Harrow International School Shanghai invites you to the 2017 Shanghai Public Speaking and Debate Championship, featuring debate events, guest speakers, and workshops. Follow the link to reserve a spot in the debates. Dulwich has got a soccer camp running from November 9-10 that’s open to everybody. Well open to players 5-12 years old. Kids will play from 9.30am-2.30pm led by internationally licensed coaches on Dulwich College Shanghai Field. Costs 1,000rmb to play. Another one from Dulwich, they'll be hosting the Asian Schools British Parliamentary Championship (ABC) at the end of November. Any student can participate, for any questions contact: abc@capstoneprep.com or info@capstoneprep.com. 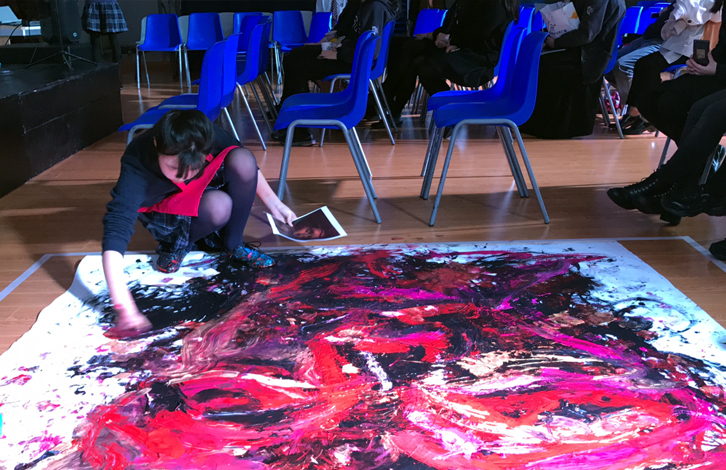 Wellington College International Shanghai's annual Christmas Bazaar is set for November 24. Get in the spirit with holiday shopping, good eats, and pictures with Santa. Runs from 1-5pm. Free entry. LifeSkills4Me is teaming up with YCIS for a Life Skills Tournament called “I Can” is a one-day competition for all international students ages 9-12. Runs from 8am-6pm, costs 200rmb per person. Find out more info through their site right here. Check out GoEast Language Center after school for free open classes, they'll have 3 in November, more details to come. Good for all ages. That’s Mandarin will be doing a 2-month Winter Camp starting on Nov 20 for kids 7-17. The camp will involve Chinese Language classes, activities, and field trips. Can book by 1 week sessions, or full 2 months, book here. For after school activities, check out a list we put out a few weeks back, right here. Children of Madaifu is an organization that works to ensure children and families in need have a proper allowance for food and clothing. 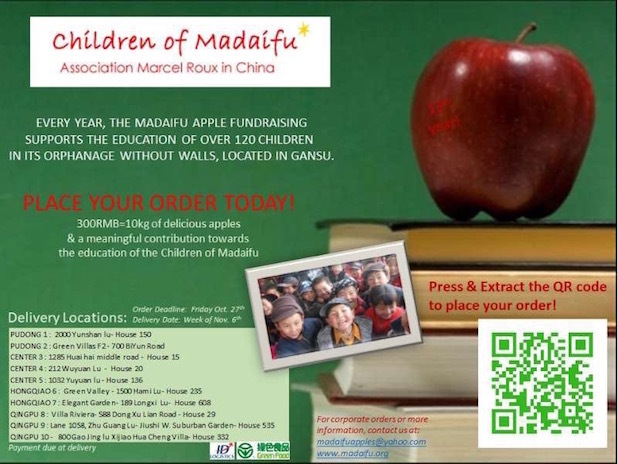 Their apple fundraiser sells 10kg of apples for 300rmb and proceeds go directly to the charity. The last day to place an order is tomorrow Friday, October 27. Active Kidz Shanghai is partnering with Pac-12 and has got some tickets to the Georgia Tech/UCLA basketball game at the Boashan Sports Center. Cost 100-280rmb. Tickets and section details here. For more info email info@activekidz.org. P.S. Lots of schools will be having open days in December and January, stay tuned. P.S.S. In the meantime you can keep up with school news on our Education Directory.